Made from the center portion of the endosperm, with the bran and germ removed, which contains a good percentage of the nutrients such as niacin, riboflavin and thiamine. 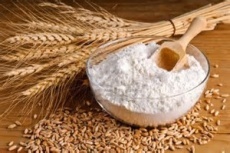 By law in Canada, the flour must be "fortified “ again with these nutrients being added back into the white flour, along with iron. Arva's hard white bread flour is unsurpassed and excellent for making bread. This is their "all purpose" flour and is ideal for most of your baking needs at home. Arva has been continuosly operating for nearly 200 years, and it's present mill rollers are over 100 years old. That's a lot of time to perfect the art of milling, which shows in the quality of their flours.